Not left handed but love messing around and hitting lefty clubs right handed. On a side note, the college team I coach started the season with 6 out of 21 golfers being left handed! Good call on the thread, Tony! Might be the best post we ever see in the thread. I just tested the code and it does indeed work. Enjoy the new flatsticks boys! ðŸ˜ðŸ˜‚ðŸ˜‚ðŸ˜... Yep left handed too! Many of us - especially those that are older and went to catholic school are ambidextrous. I'll let you figure out what that means. Manmy of us - especially those that are older and went to catholic school are ambidextrous. I'll let you figure out what that means. I think a left-handed thread is a great idea. I'm not left-handed or swing left-handed... I can barely open a door left-handed!! 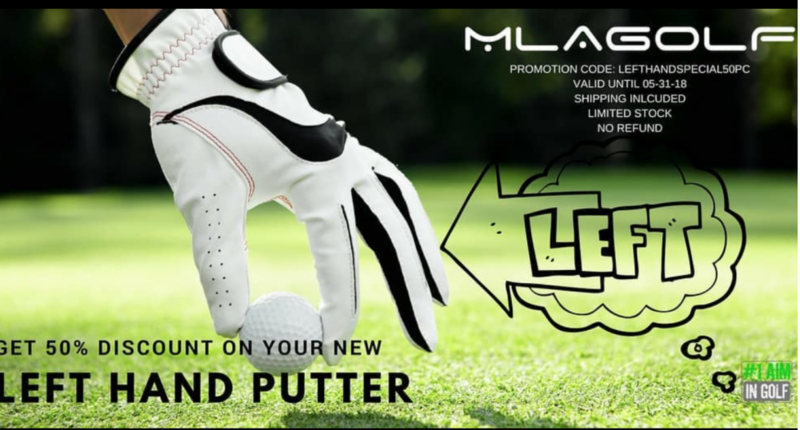 I'm a little surprised that MLA would run a promo for left handed putters with a picture that clearly shows a right-handed player... unless you lefties play like Tommy "Two Gloves". A lot of sites will just utilize the same graphics but specify lefty models. I guess it saves them from having to re-shoot or acquire lefty graphics. Notorious on club photos on eBay from some of the larger sellers. It will say the club is lefty, description says its lefty, but the photo is RH. Just need to double check. Wow, that MLA discount code works for every model they have...even the new black line that retails for $350. 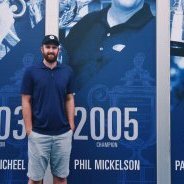 And if you sign up to receive the Pre-Owned Taylormade website promos, they'll do flash sales for lefty equipment on top of the standard 35% off. I snagged a couple 'like new' M2 drivers for under $100/each and then flipped them on another site with a 75% markup. Handedness is the only form of legal segregation...so we got that going for us...which is nice.